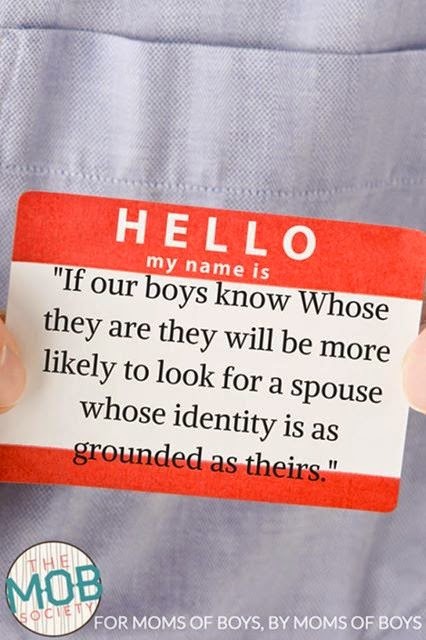 Hoping your sons choose a godly woman someday? Teach them Whose they are -- and guide them to look for His light in others. Want to know how to teach your children about their identity in Christ? Click on over to my post at the Moms of Boys Society.